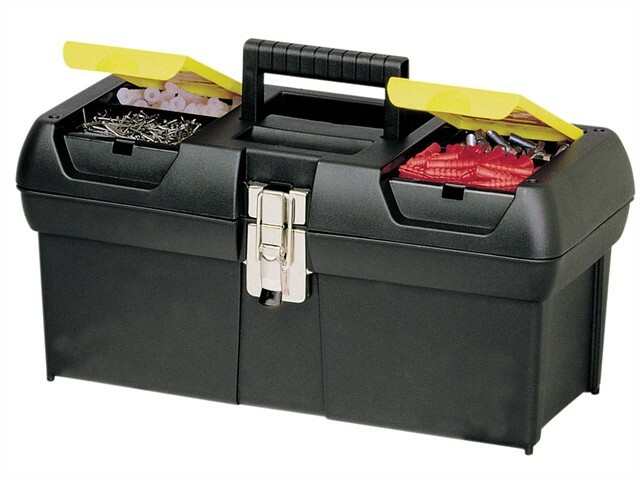 This Stanley 16 inch toolbox has metal latches and hinges for durability and extra weight capacity. Top lid organisers for storing small parts such as screws and fixings and a removable tote tray. It has a soft grip handle for comfort.